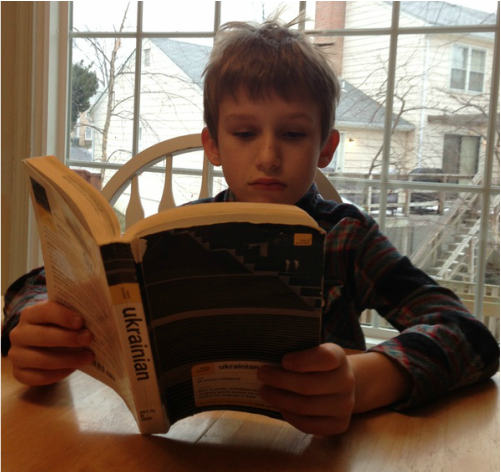 Classroom teachers have Ukrainian books available for loan. Try trading with friends too! Need more? Try the resources below. Учительки мають українські книжки, котрі можна випозичити. Також обмінюйтеся книжками зі знайомими! Треба ще книжок? Подаємо ідеї нижче. School Library will be open in cafeteria once a month: February 4th, March 4th, and April 1st to exchange the books. Шкільна Бібліотека буде відкрита в кафетерії 4-го лютого, 4-го березня та 1-го квітня для обміну книжок. A number of childrens' books are left over from our bazaar! (Best Ukie book app we've seen - gorgeous illustrations and lots of fun interactivity on par with the top Enlish book apps out there (see yourself in a magic mirror, draw on frozen glass, puzzle, noises, steer ships by tilting your ipad, collect clues through the whole story, etc.) well worth it - there is a separate English version too (just click on "Related") that you can recommend to English speaking friends) good for any age. Who Stole the Moon is developed out of Chicago by a Ukrainian in over 10 languages and has a Ukrainian option, which is well narrated and is interactive: (cute story for younger kids). There is a free lite version and a paid version. Ukrainian Fairy Tales (Ukrainski Kazky) is a collection of traditional Ukrainian folk tales like Koza Dereza, Rukavychka, and Tsap at Baran. Pan Kotskyj comes free and the others can be added as in-app purchases for $1.99 each. A nicely illustrated standard book app with no extra bells or whistles. Language options include Ukrainian, English and Russian.